Mike and Paula’s daughter, Ashley, is the reason the Jones family became involved with Special Olympics. Ashley first started competing with Special Olympics Illinois as soon as she was old enough to train and compete. Ashley became a top priority within her family. Her parents worked to support her needs and helped as coaches, chaperones and volunteers to help the team. The Jones family has been involved with Special Olympics for almost 20 years dedicating countless hours as coaches, committee members, volunteers and chaperones for many Special Olympics trainings, competitions, events, fundraisers or activities related to Ashley’s involvement as an athlete. As soon as Ashley became old enough, Mike was there to help coach her. Mike helped coach her in every sport she competed in throughout elementary and high school. Paula has supported and been involved in Ashley’s career as well. They have both served on many local and statewide committees for Special Olympics, helping to reach out to more families and share their knowledge and compassion. Ashley, now 26, competes in figure skating, gymnastics, alpine skiing, golf and athletics. Mike continues to coach Ashley and her teammates. He attends each practice and travels to all local events and competitions. Ashley has also recently become a Global Messenger. 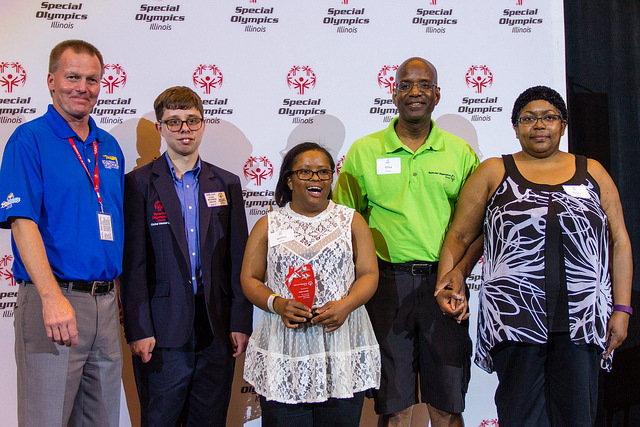 Ashley serves as an ambassador for Special Olympics Illinois. Her family continues to support the organization and attend numerous events. 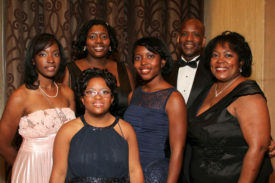 The Jones family dedicates innumerable hours to Special Olympics Illinois. They continue to support their daughter and the athletes. Their dedication to the organization demonstrates why they deserve to be the Special Olympics Outstanding Family of the Year.